Are these items even Native American made? 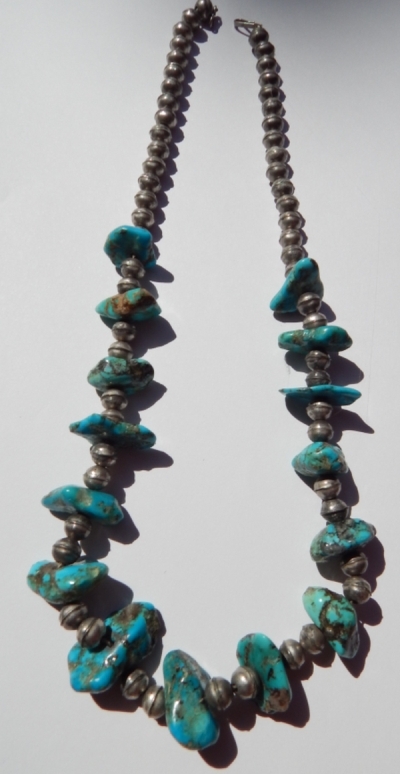 I am trying to find out any information about the two necklaces in the attached photo, like which Native American tribe may have made them (if they are indeed genuinely made by a Native American). It seems like you may be quite knowledgable about these things so if you have any ideas I’d love to hear them! Thank you. I am very interested and immersed in my work so I have gathered some knowledge about Native American jewelry over the years but there is so much more to know. That’s why I like to post these questions here on this blog to attract comments from others. 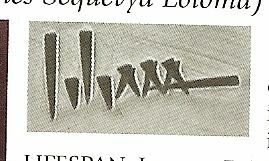 The necklace on the right certainly seems like it could be Navajo made. 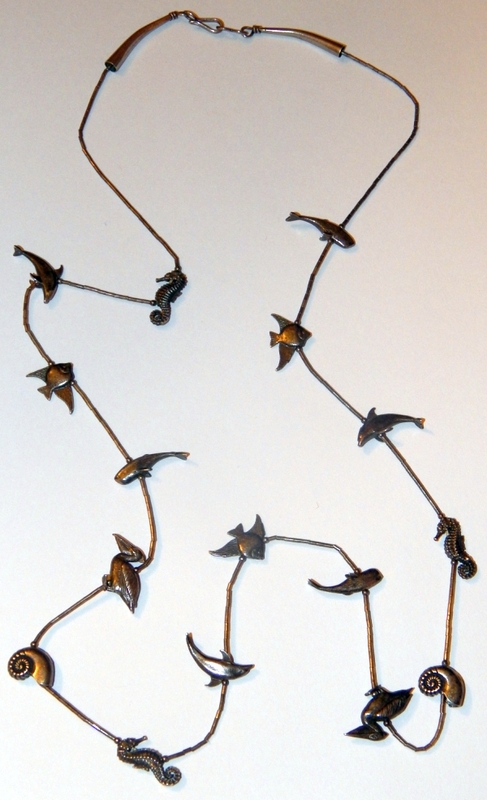 It has the look of a sterling silver necklace, simple but similar in layout to a squash blossom necklace. When I enlarge the photo, the beads seem to be hand made, not bench beads. 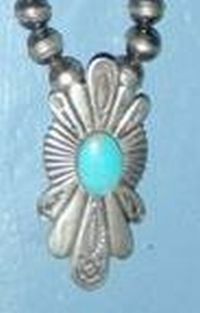 It is a very nice necklace which I feel pretty certain would have been Navajo made. 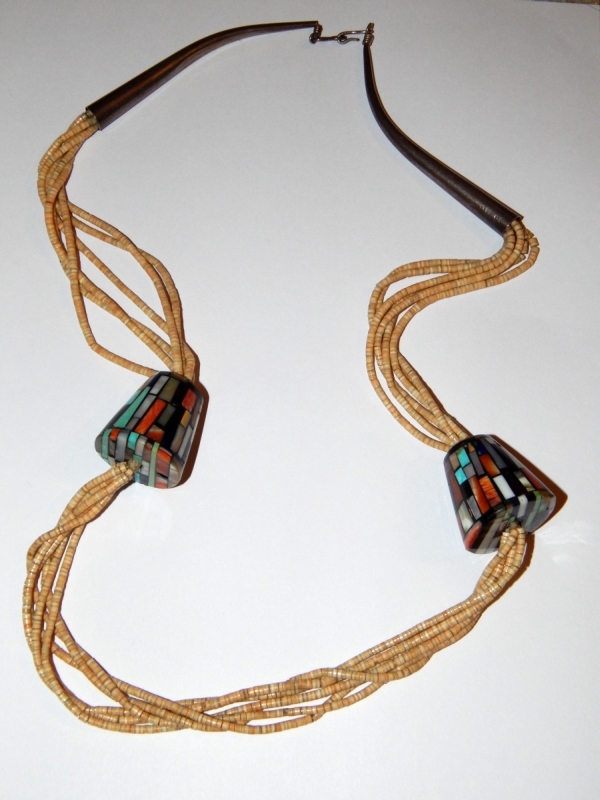 The necklace on the left however, although very attractive, does not seem to be Native American made. The first thing that caught my eye was the brass beads which say India to me. 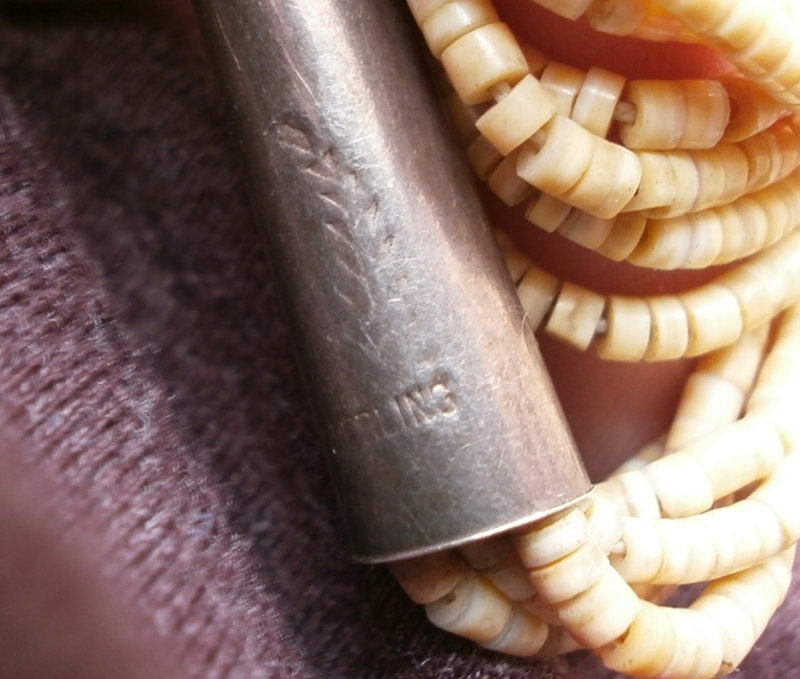 The horizontal brass spacers between the brass beads are also not a design element associated with Native American jewelry. 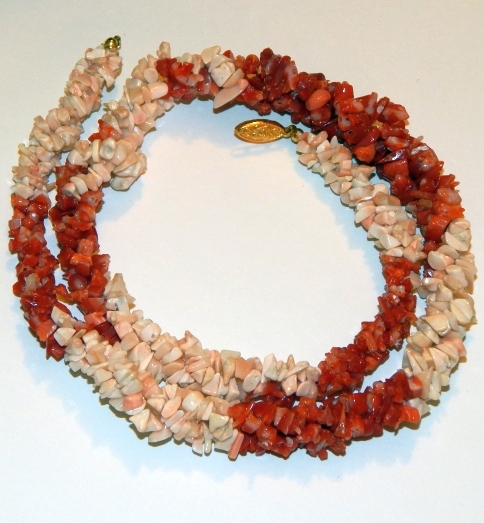 It seems the long dark beads and the shorter tube beads are made from horn or bone, again something I’d tend to associate with India or Africa. The rondelle beads which make up the majority of the necklace also could be bone……or perhaps they and the shorter tube beads are some sort of ivory. These things are hard to tell from a single photo. 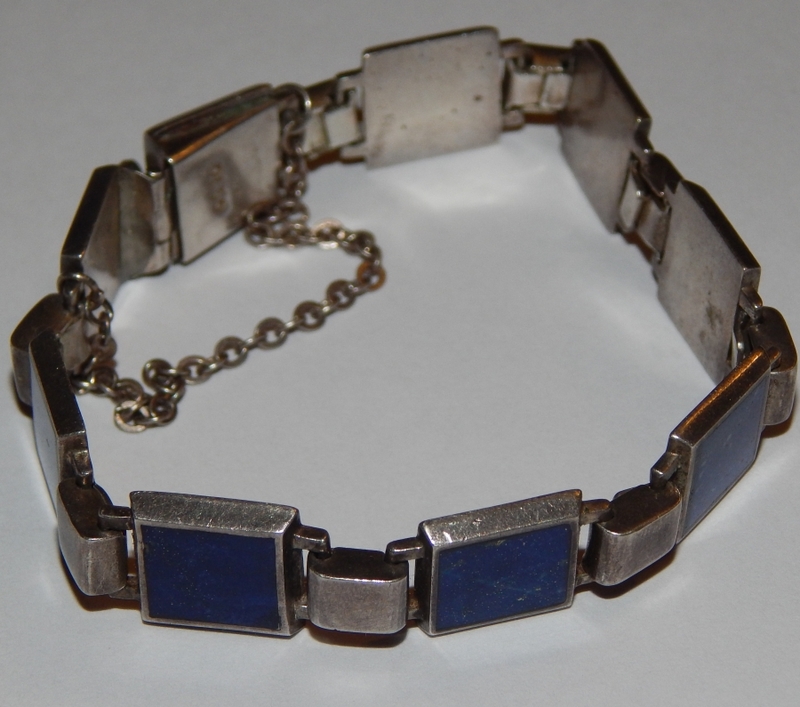 Of course, many things can be determined definitively when viewing an item in person – using one photo is just guesswork. Can you Identify this Dooney & Bourke bag for me please? I was wondering if it was possible for you to identify the name of a vintage D&B AWL bag for me? I looked on your site with no match, and I was hoping as D&B enthusiasts you would be able to help me. That bag is a fake,- it is so bad that I can’t even call it a knock-off – there are so many signs just from the one photo that this is not a Dooney & Bourke bag. First of all, Dooney & Bourke never made a style even remotely like this bag. D&B never had a bag with braided trim like that. The buckle affair on the front – another complete fabrication. The way the shoulder strap is attached to the trigger snaps is not the way done by D&B. Also the two tone thin shoulder strap is another dead giveaway that this is an imposter. The only D&B bag that had two tone straps was the Surrey line with a wide padded two tone strap. The base of this bag looks like vinyl which makes me wonder if the entire bag is vinyl. Many of the fake D&B bags I’ve seen are made of vinyl, rather than All Weather Leather. So it is the worst of the worst ! But thank you for checking before listing it on eBay as an authentic Dooney & Bourke bag. There are so many fakes like this and knock-offs that are being listed on eBay as authentic D&B bags, that unsuspecting buyers bid on them thinking they are getting a real Dooney. Here is an authentic vintage Dooney & Bourke bag. You can read about characteristics of Dooney & Bourke handbags on our website.